Gallery featuring images of 27 Incredible Man Cave Coffee Tables, a selection of pieces in various styles that can work in nearly any man cave. When you’re looking to complete the perfect man cave in your home, you want the right set of furniture. 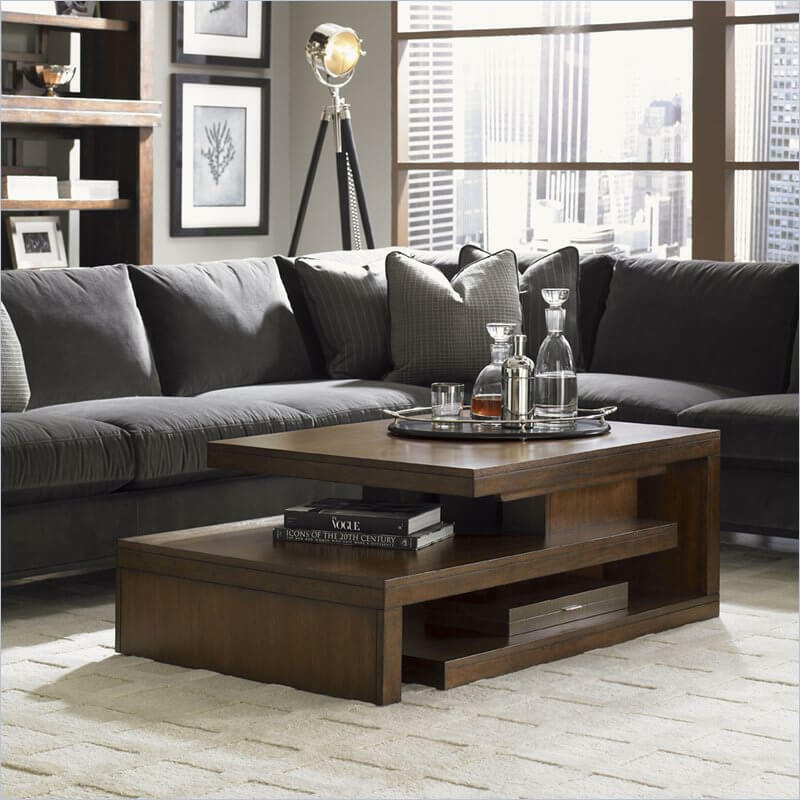 While we immediately think of sectionals, sofas, and big comfortable arm chairs, the venerable coffee table is one of the most important focal points of the room. 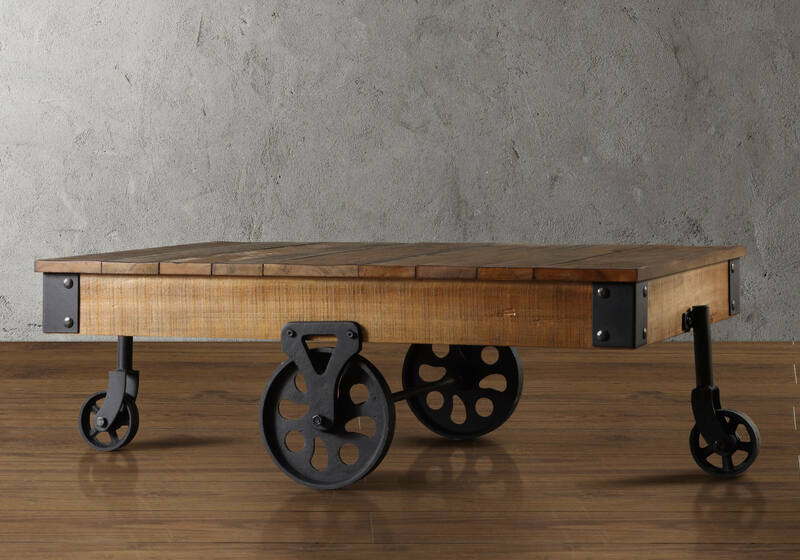 We’ve gathered some of our favorite coffee tables to showcase the possibilities available for your own man cave. Whether you’ve already got a man cave and you’re looking to update, expand, or reinvent it, or you’re just starting to carve one out in your home, you’ll want to check out the fantastic tables we’ve detailed here. While picking the right seating is of the utmost importance, we believe that the right coffee table can tie a room ensemble together in ways that perfectly supplement the remaining furniture. In other words, the coffee table can put a neat little bow on your man cave, so it’s important to get a great one. We know that man caves can appear in a range of wildly different styles, and that every home is as unique as its occupants, so we selected our favorite coffee tables in each of several important categories, including contemporary and industrial styles, lift-top models, ottoman coffee tables, and those with built-in storage. When you’re outfitting your man cave, you want something that’s going to add value to the room, that’s going to help tie it together, and most of all, something that’s going to be useful. So as you browse our selection of great coffee tables, make sure to keep an eye out for features you would truly make use of. Maybe you’ve got a lot of remotes that need someplace to hide. Maybe you want something to complement your modern furniture. It’s all about the details. These coffee tables are the most popular models, often timeless pieces that fit with virtually any styled home and with striking looks that truly stand out. We love a solid contemporary piece of furniture that manages to evoke a timeless feeling while remaining thoroughly modern. This table does that and more, with an asymmetrical design and rich wood construction that looks fantastic in any setting.